Actor Jayam Ravi has shaped up his career in a clever manner over the years with some quality commercial movies and some appreciable experimental attempts. His 23rd, which is the prestigious India’s first ever Space film Tik Tik Tik is all set to release worldwide on 22nd June. To everyone’s surprise, he decided to do a quickie before his silver jubilee movie that is the magnum opus historical Sangamithra directed Sundar.C. Few months back, his 24th film announcement came out. Project is produced by Home Movie Makers. Directed by debutante Karthik Thangavel. Titled as Adanga Maru which means refuse to get suppressed. 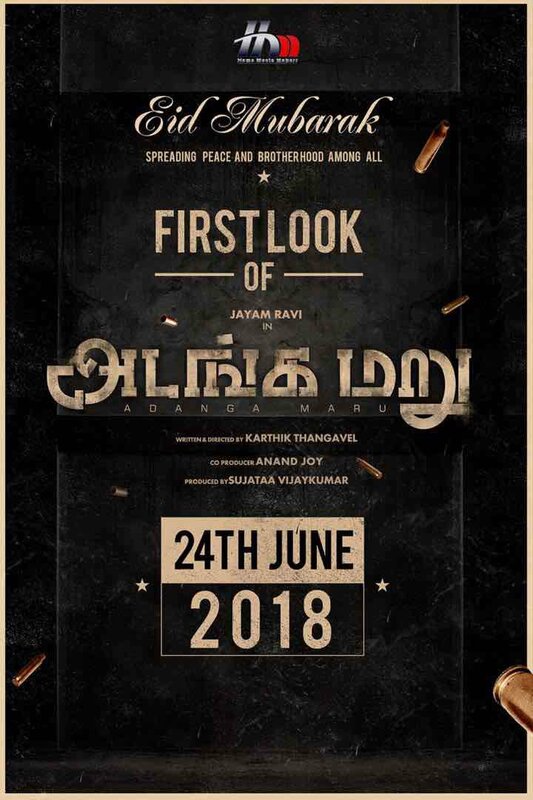 Now the makers have confirmed that the first look of this movie will be unveiled on 24th June.